Cloud formations over Earth’s polar regions could be the key to explaining the mystifying appearance of an ice cloud around Saturn’s largest moon, Titan, according to NASA scientists. 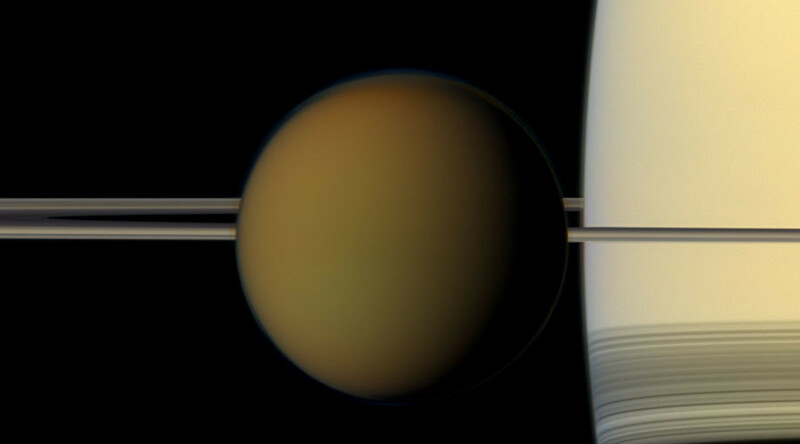 In 1980 NASA's Voyager 1 flew past Saturn and photographed an unusual cloud on Titan. The cloud has puzzled scientists ever since because Voyager’s instruments indicated a lack of materials and stratospheric conditions for cloud condensation. NASA's Cassini spacecraft, which is currently cruising around Saturn before its planned landing on the giant planet next year, recently also witnessed the unexplained cloud formation on Titan. Readings again indicated that the stratosphere was as dry as a desert, and there was just 1 percent of the necessary gas (dicyanoacetylene, or C4N2) present. It was thought that clouds on Titan would form in a similar manner to those on Earth, except with different materials. However, the lack of C4N2 gas in the stratosphere where the clouds formed undermined that theory. "The appearance of this ice cloud goes against everything we know about the way clouds form on Titan," said NASA’s Carrie Anderson. The mystery has prompted NASA scientists to search for a more viable process behind the formation of Titan’s clouds. They started looking closer to home and began examining how clouds form in the stratosphere around Earth’s north and south pole. Instead of the cloud forming by condensation, researchers think reactions taking place on other kinds of ice particles could create the clouds. This is called ‘solid-state chemistry,’ because the reactions involve the ice, or solid, form of the chemical. NASA said that the researchers got the idea of solid-state chemistry from the formation of clouds amid ozone depletion high above Earth's poles. Although there is very little moisture in Earth's stratosphere, wispy clouds do form given the right conditions. 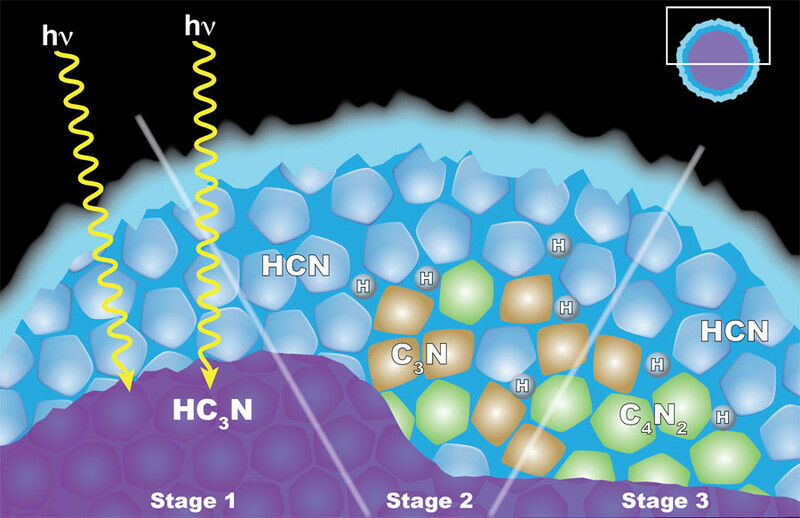 "It's very exciting to think that we may have found examples of similar solid-state chemical processes on both Titan and Earth," said NASA’s Carrie Anderson. After more than 12 years studying Saturn, its rings and its moons, Cassini has entered the final year of its voyage. In April 2017 the probe will move towards Saturn’s rings and then onto the planet itself.